The city of Baltimore will not soon forget 2013. A year that started out on such a high note for the city with the Ravens winning the Super Bowl quickly went the opposite direction in months that followed. During the spring and summer Baltimore was in and out of national headlines due to a large-scale jailhouse corruption ring. And in the last few months the city has witnessed a major uptick in gang related violent crime and homicide. From the middle of October to the middle of November there were a staggering 29 murders. The city has responded by enacting a new 5-year anti crime policy that was made public by the police commissioner and the mayor one week before the Thanksgiving holiday. The plan, which is laid out in a 192-page report, will shift the majority of law enforcement focus to gangs, guns, and repeat violent offenders. Although specific tactics and techniques were not fully explained, officials expect that improvements in intelligence gathering and cooperation with other law enforcement agencies will make for more effective policing. Unfortunately though for the citizens of Baltimore press releases and hundred page reports will not suppress crime automatically. Only officers out on the streets can accomplish this goal, but a shortage of qualified officers may prove to be a challenging hurdle. 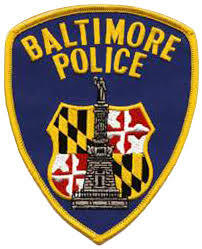 With nearly 4,000 total employees and over 3,000 sworn officers, the Baltimore Police Department is the 8th largest municipal law enforcement agency in the country. The department is responsible for safeguarding Maryland’s largest city, which currently has a population of about 620,000. While 3,000 police officers in a relatively small city might sound like more than enough, the BPD has over 200 vacancies and almost 100 officers on leave or suspended. The department has been hiring for the past year but the vacancies are simply not filled as fast as current officers are leaving the force. Last year 250 cops left the department and this year that number will likely increase. There are a variety of reasons why the department may be losing cops such as money and job satisfaction. According to the BPD’s website a new officer trainee’s starting salary is a little over $43,000 per year. In contrast, Baltimore County pays its trainees over $46,000. Whatever the reason, department administrators urge that public safety will not be jeopardized by officer shortages. The BPD is taking steps to offset the officer shortage without putting the burden on taxpayers. The department has hired an outside firm to figure out ways to run a more efficient law enforcement agency, while dealing with unique obstacles such as an officer shortage. The agency’s plan has not yet been released, but it has to be better than the current strategy of allowing hundreds of cops to work numerous overtime hours each week. Overtime pay alone is costing the city millions in taxpayer dollars, and is far from a viable solution to the officer shortage problem. More feasible solutions include modifying the disciplinary process to cut down on the high number of officers that are suspended with pay, and using a more sophisticated system of deploying officers in certain areas. City officials have set the bar extremely high with their five year crime suppression plan, and time will tell whether the police department has the manpower to carry out this plan. The Blog will follow the progress of the city’s gang, gun, and violent offender program, and the BPD’s issues, and post another article if necessary. 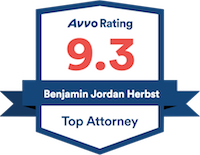 Benjamin Herbst is a criminal defense attorney practicing in all Maryland state and federal jurisdictions. Contact Benjamin for a free consultation about your case.